Buffet space serves much like counter space in many ways. The difference being the buffet serves a particular purpose or outdoor dining intent. Many times you envision a buffet at larger catered events. Buffet space can be modular in fashion, temporary or built into place. 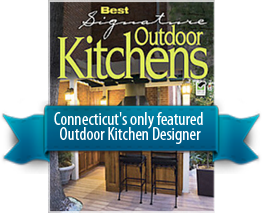 Buffet and counter space is relatively most important and particularly minimized when planning for your outdoor kitchen space. In fact it should be maximized. With the influx of todays trendy outdoor luxury kitchen, buffet space invites appetizers, salads, side dishes, guest dishes and deserts much like a banquet hall. The theme or lifestyle of the area outdoors can now be decorated and part of todays residential luxury outdoor kitchen. The buffet counter allows for extended periods of time spent outdoors. Too many times people think of an outdoor gathering or bbq with friends to begin with the grill and end at the table. This is no longer the case as owners loved to decorate, dine and entertain outdoors. Outdoor living can be fabulous when designed according to plan. The buffet is a priority for our design build luxury outdoor kitchens. Many of the times it becomes well accepted as a halfway point just outside the back door to supply prepared foods, foods to be cooked, beverages and guest brought delights. It eases the burden on the personal indoor kitchen as well. With todays powder coated cabinetry enabling one to match the decor and lifestyle of the owners, buffets serve themselves well. The buffet station can be flat on top as an extended counter or similar to resort types with a built in stainless tray that allows for ice to be contained and used for multiple purposes. For the top of the buffet use the same counter type whether it be granite, stone or ceramic. It makes the outdoor kitchen appear much larger and performer much better. The outdoor buffet doesn't have to be directly attached to the cooking area. Many times right against the back of the house close to the back access door becomes very helpful in staging or serving food.